Chase Insight, our plug-in business intelligence system for advertising agencies. Chase Insight provides an extremely effective solution to recording time accurately. Staff are monitored with scorecards reflecting performance to targets, accuracy of timesheets and portion of billable hours recovered from Client billings and retainers. Effortless timesheet management is accomplished by enabling one or more ‘Time Sheet Administrators’ within the system. Use Business Intelligence to gain insight into true client profitability that combines billing, external costs and internal costs such as timesheet data into a single dashboard. Save time collaborating and sharing client profitability intelligence by using the built-in collaboration tools and dashboard assignment features. Load Resource Plans for Client Retainers and monitor actual time/cost against the Plan. Produce Retainer Reports for Clients and Shareholders automatically. 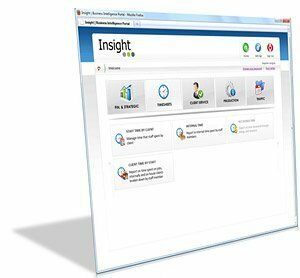 Produce monthly or annual Management Reports automatically with Chase insight.